This design offers all the splash and splendour to be noticed. 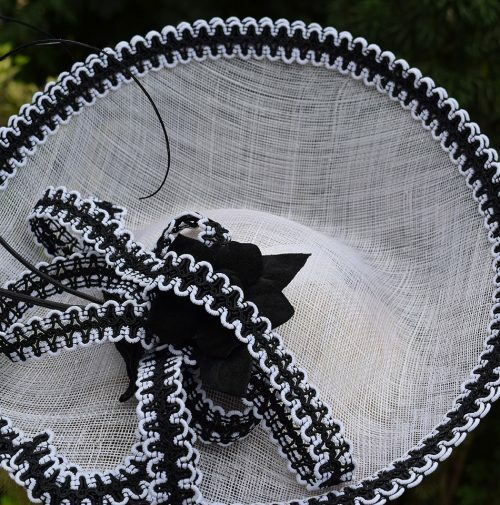 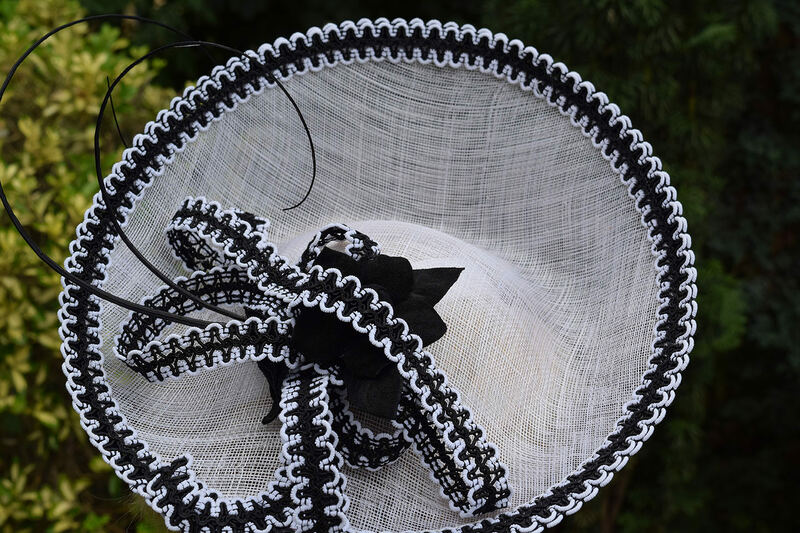 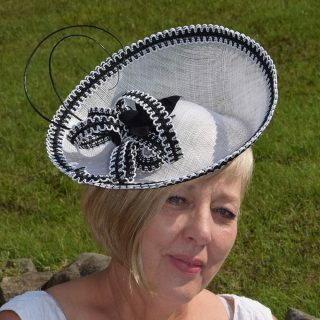 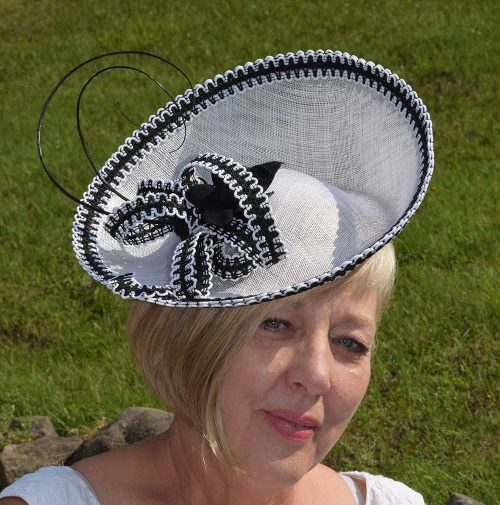 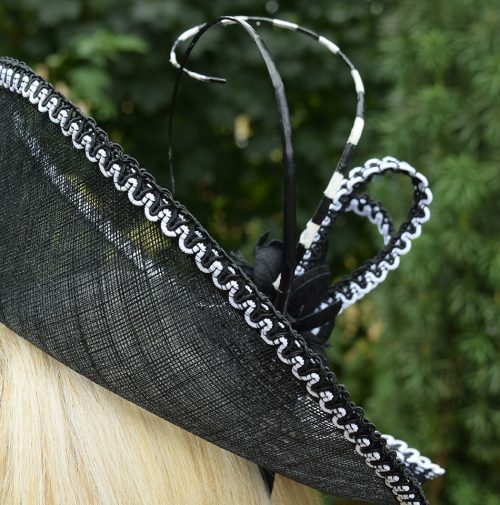 The hat and Alice band are made from sinamay and the hat is embellished with a dramatic lacy trim and quill. 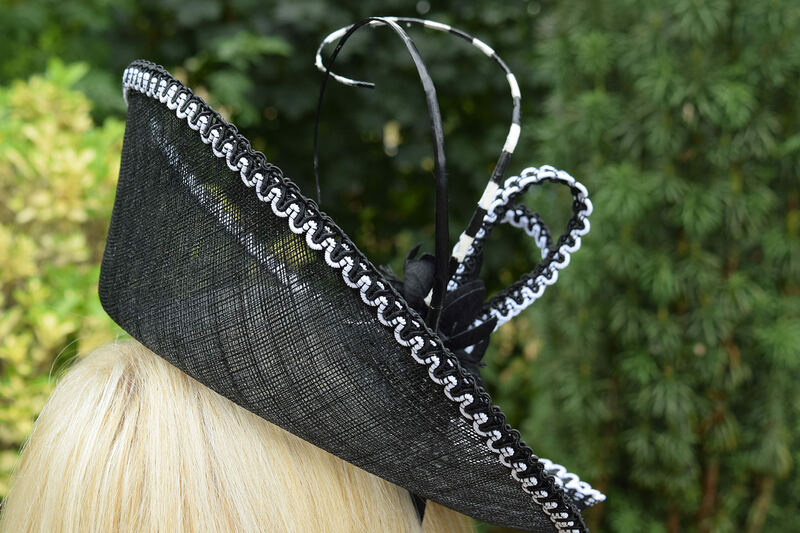 This shape works particularly well with medium to larger-sized faces.